An 11-year-old amputee is championing a charity's campaign to recycle children's prosthetic legs. Euan Murray, from Bath, was born with a birth defect that meant his left leg had to be amputated below the knee when he was 11 months old. He realised his outgrown legs could benefit others and has donated 10 old prosthetic legs through Legs4Africa. "I feel proud because I was once wearing these and I'm giving them to people that really need them," he said. "The prosthetic leg enables me to do everything I'm passionate for, which is mainly sport. "If I didn't have a leg and I was still an amputee, I would be a very different person because I would be stuck in a wheelchair and I would miss out on a lot." Tom Williams, founder of the Bristol-based charity, said Euan was doing "a fantastic thing". "I never fail to be full of admiration for the little ones who accept their new leg as part of their life and don't allow it to define who they are," he said. "There is a huge demand for components to build children's prosthetics in Africa." 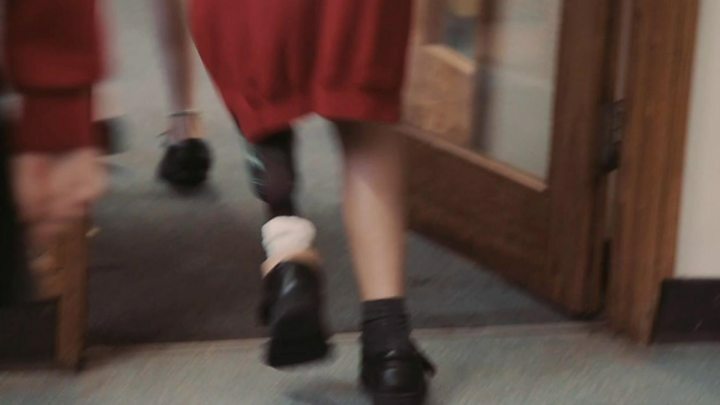 The charity collects and recycles prosthetic limbs sourced from UK hospitals and private donors and then ships them to Africa where they are adapted and fitted by trained technicians at partnering hospitals. One of Euan's legs has been given to Wudeh, a seven-year-old girl in The Gambia whose leg was amputated following a car accident. Euan and his family have seen pictures of Wudeh on Facebook wearing his old leg which he said was "really amazing". Euan issued a direct message to Wudeh, saying: "I hope this leg enables you to do everything it helped me to do and it brings you happiness in your life."